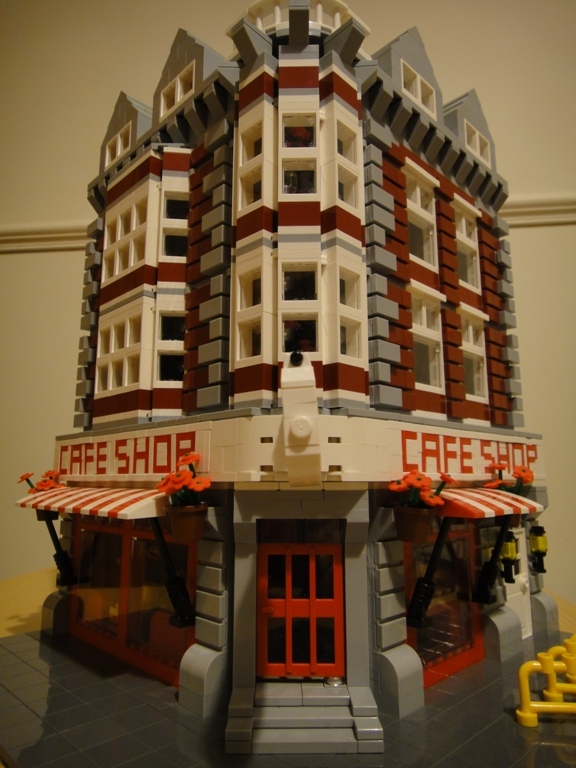 Brick Town Talk: Corner Cafe - LEGO Town, Architecture, Building Tips, Inspiration Ideas, and more! Brickwork Boulevard - (BTT) Putting a cafe on the corner of the block is hardly a novel concept - good visibility certainly doesn't hurt any business, especially those in the food industry. Equally familiar is the beautiful brick and stone detailing on this building's facade, although there are certainly some great little details that are completely original going on here. Together you get something greater than the sum of its parts, proving that sometimes you need to take a step back and just take it all in at once.